Here’s the thing: you, as an individual, might not care all that much about this weekend’s royal wedding in Britain, in which Prince Harry will wed former Suits star Meghan Markle. But it’s currently the only thing anyone else on the Internet can talk about, which means it won’t be that long before conversations about the event filter into your very real life—if they haven’t already. And in order to prepare you for that eventuality, we’ve assembled a list of things you need to know, right on time for Saturday’s big event. Why does the Super Bowl matter? Why do the Oscars matter? Why does any big televised event that gets broadcast to a wide cross-section of this country and the world matter? Because it’s one of the few non-depressing events that punctuate our 24-hour news cycle. There is spectacle and glamour and, above all, rarity here: love stories, especially unlikely ones, fill people with warm fuzzies, and to paraphrase Hal David, the world really does need love, sweet love, right now. (Also, let’s be frank here: Harry’s punching way above his weight in this match.) Beyond that: Markle is divorced and biracial. And her addition to this family—this family, the living exemplars of old-guard British propriety and unspoken expectations about what highborn people do—represents a fairly radical shift in inclusion and optics for a dynasty of white people whose empire has, throughout its history but especially recently, been accused of race-based malice. OK? OK, Fine. What Time Is the Royal Wedding? 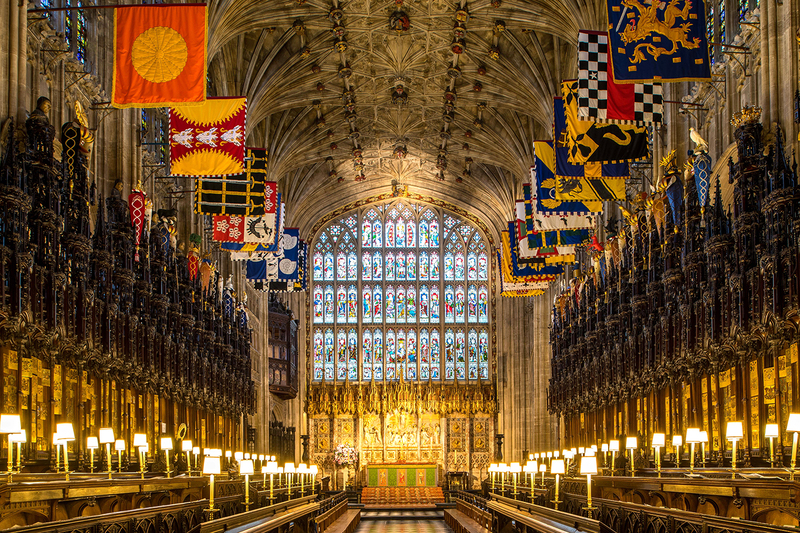 Instead of the pomp and circumstance of Westminster Abbey, Meghan and the prince have opted for the (relative) privacy of St. George’s Chapel at Windsor Castle, Queen Elizabeth’s other principal residence, about an hour outside of London. The distance was chosen partially for that reason, but also because it’s been the site of some pretty significant events for the royal family. Prince Edward, Harry’s uncle, got married there in 1999, and virtually every member of the royal family has been buried there for as long as anyone can remember. There’s a full breakdown of where different events will happen on the property on The Guardian‘s website. Do We Still Call Her Meghan? What’s Her New Title? Officially, she’ll be Her Royal Highness Princess Henry of Wales—but no one will actually refer to her as Princess Meghan. That’s because of a lot of arcane and hair-splitty rules about who gets to be a prince or princess that we don’t have the time to unpack here. But basically, you have to be born into the royal family at a pretty high level (i.e., the child of a king, queen, or direct descendant of the current reigning monarch) in order to use that title. The Internet thinks Prince Harry will be assigned the title Duke of Sussex. If that happens, after the wedding, you’d refer to Meghan as Her Royal Highness Meghan, Duchess of Sussex. Hold on a second while we catch our breath. The Telegraph reported on Wednesday that Prince Harry will likely wear the ceremonial uniform of the Royal Marines, seen above. (He was recently made Captain General of the regiment, taking over the position from his grandfather Prince Philip.) It’s a pretty sharp look, we have to say. Listen: it could be any designer, at this point. Our friends at Us Weekly spotted Meghan’s mom, Doria Ragland, being driven through London with a garment bag from Burberry, but we just won’t know for sure until she walks down the aisle. Who’s Walking Her Down the Aisle? Meghan’s dad had planned to do it, but he can’t attend the wedding because of his health, so Prince Charles is stepping in instead. 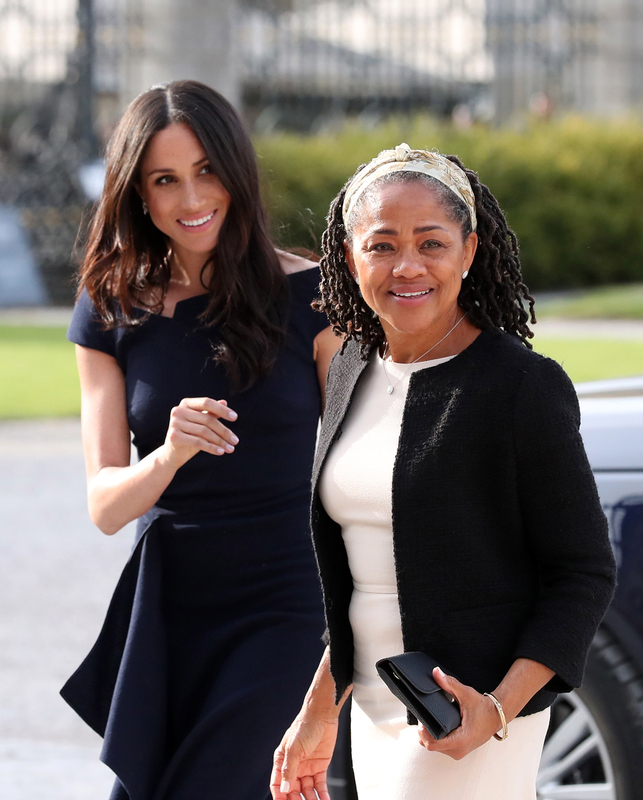 (Editor’s note: I’d been hoping her mother, pictured at right, would do the honors, as there is a precedent for a mother-of-the-bride giving her daughter away at a royal wedding, but that’s not going down here.) Worth noting: Prince Charles isn’t going to walk Meghan all the way down the aisle, so he won’t formally be “giving her away.” Instead, she’ll walk into married life like the independent woman she is. Who Gets to Go to the Royal Wedding? For information about the reception, there’s a good report at Sky News. For a breakdown of how the UK is benefitting financially (to the tune of $1.4 billion) from the wedding, here’s a pretty thorough analysis from MarketWatch. Everything else will have to wait until the couple have walked down the aisle.